Valentine's Day is coming up this week and I wanted to share a super simple recipe for a treat that you kids will love! These cookie cups take minimal time, require only a few ingredients, and are super tasty! To make these cookie cups all that you need is sugar cookie dough, melting chocolate, and some sprinkles! 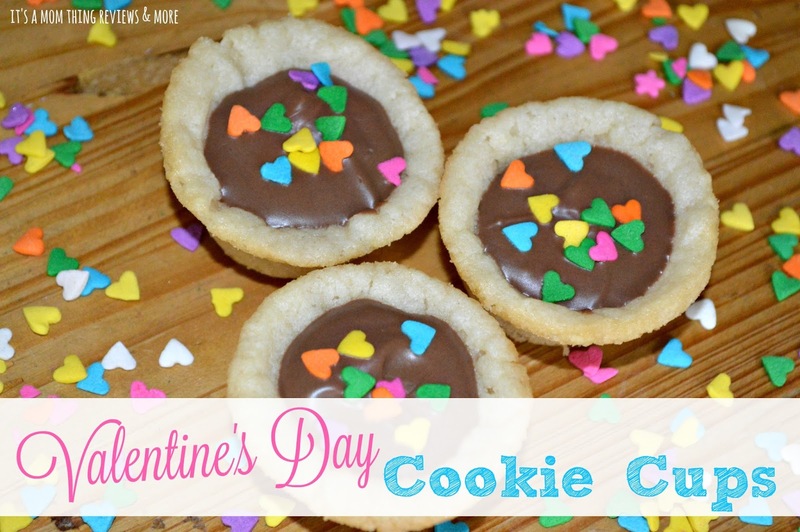 Since these are for Valentine's Day I decided to use some heart sprinkles. 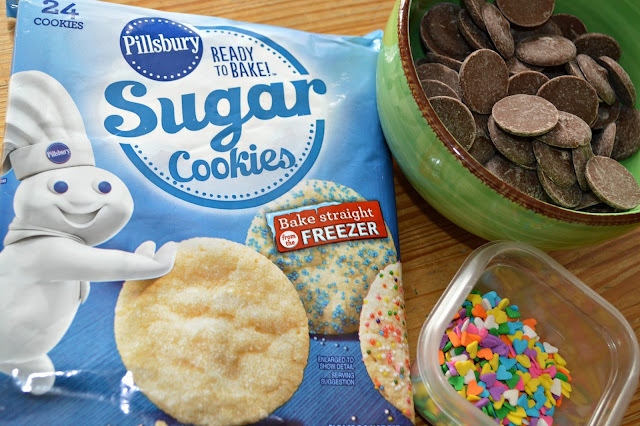 To make these you can use homemade or store bought cookie dough. My favorite type of cookie dough to use for cookie cups are the ready to bake squares since it makes them even quicker to make! 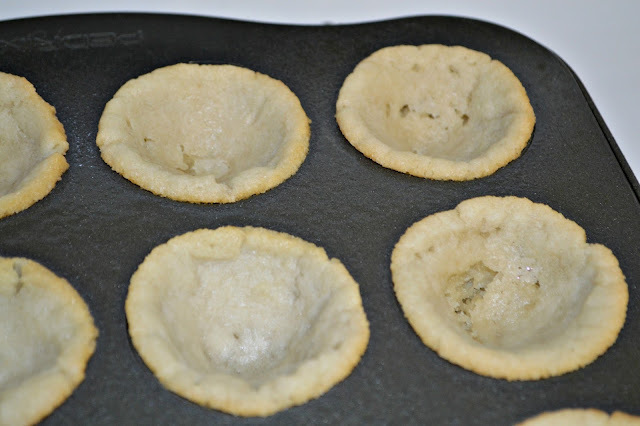 Preheat your oven to 350 degrees grease your mini muffin pan with cooking spray so that the cookie cups come out easily once they are done baking. 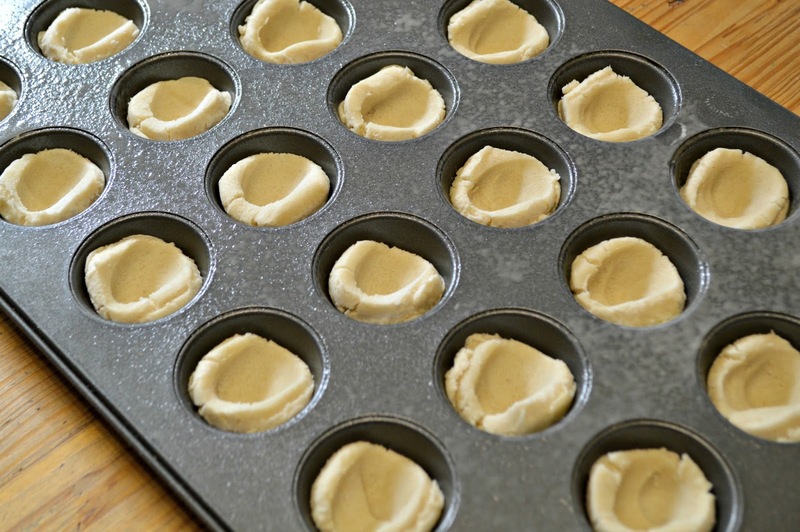 In each section of the pan put on piece of the cookie dough. 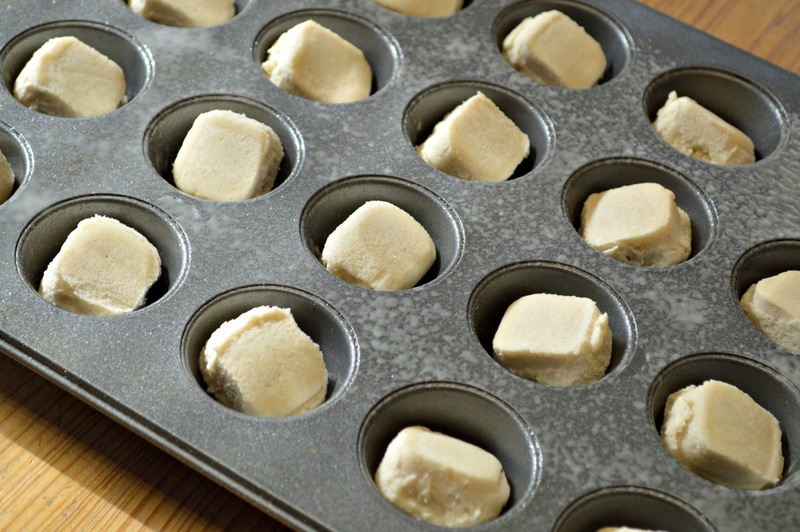 With your thumb gently press an indent in each piece of cookie dough. Bake the cookies for between 7-10 minutes, until golden brown. 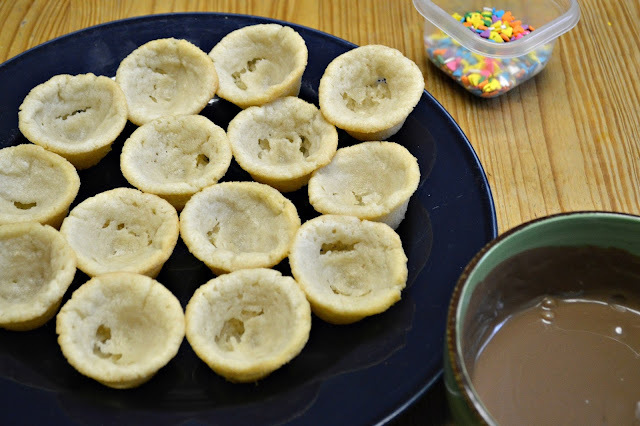 Once the cookie cups are done baking allow them to cool for 15-20 minutes and remove them from the tray. Melt your chocolate until it is smooth. 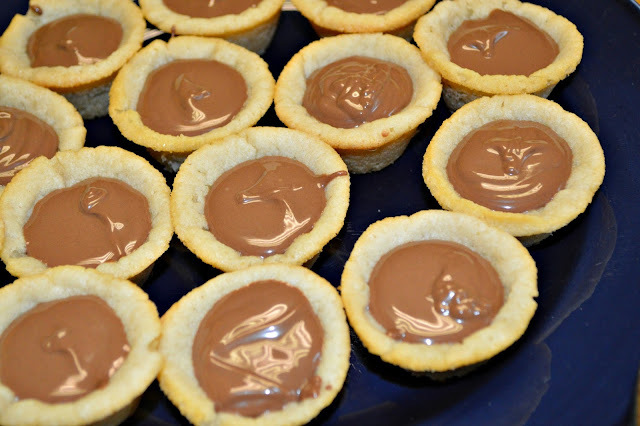 I like to add a teaspoon or two of coconut oil or vegetable oil into the chocolate to make it more smooth. 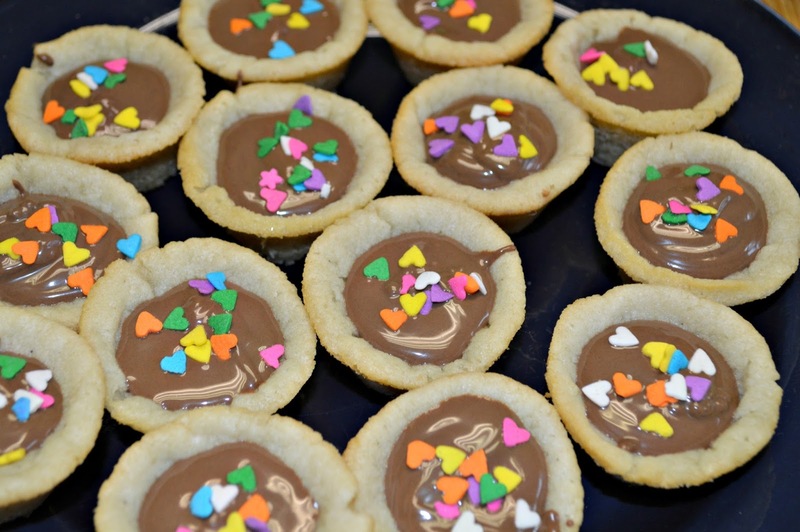 Once the chocolate is melted and smooth use a small spoon to put chocolate into each intent. Top with sprinkles and let sit for 20 minutes or so to allow the chocolate to harden. Ta-da! You are all done! 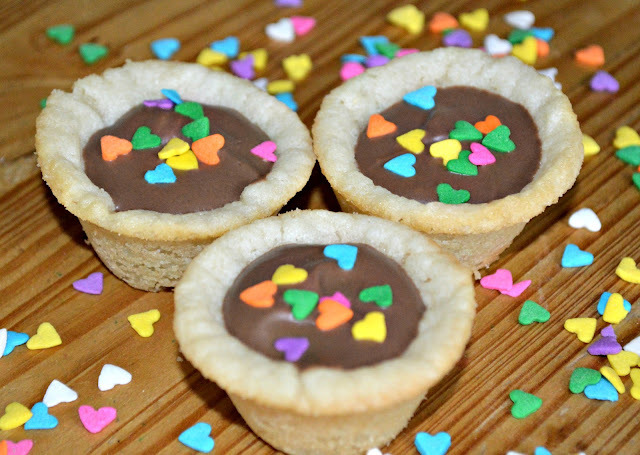 These are super simple, tasty, and will make your family's day full of love!